Unless you happen to be a salmon, swimming upstream is generally a waste of time and energy. I am referring to those times when you are fighting your nature in order to comply with an arbitrary rule or belief about how you should conduct yourself or approach your goals. For example, introverts may try to act like extroverts in order to develop clients; deep thinkers sometimes believe that improving their multitasking skills will lead to success; or warm hearted people may think they need to act tough to “make it” in a corporate environment. We often disregard our own unique strengths or natural rhythms and try to conform with external expectations, real or imagined. 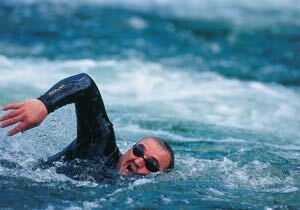 If you are deliberately toughening yourself up through some form of adversity training, that can have value; but if you are out there trying to get promoted to general counsel, coping with unusually brutal office politics, or just trying to manage an very busy job while still seeing your kids, you already have plenty of challenges. So, it may be worth pondering where you are “swimming upstream” and explore alternatives. Consider this example. I have a client who, for years, has been beating himself up for being lazy because he is a night owl and struggles to get up in the morning. Since he was a child, he was told by parents, teachers, and society at large that to be productive you need to get up early. “The early bird get the worm.” “Early to bed, early to rise makes a man healthy, wealthy and wise.” However, those sayings were probably from people who had typical biological clocks. Most people are more productive in the mornings, and that is the best time for us to do our most important or most intellectual work. However, just as a certain percentage of the population is left handed, a certain segment has more energy and focus later in the day. In the case of my client, he is at peak energy at about 4:00 in the afternoon. He had been going to doctors to try to figure out if there was something wrong with his hormonal balance in order to make it easier to get up earlier in the day. One day we addressed this in his coaching session, and he decided to listen to his body and experiment with working according to his natural rhythms. Luckily for him, he is a solo practitioner, and as such has the ability to design his own schedule. His new standard workday starts at 11:00a.m. and goes later into the evening. Since, he is no longer fighting himself, he has more energy to put into expanding his practice. As a result, he is not only more satisfied with his work, but he is also making 31% more money than he was previously. Granted, not everyone has this flexibility, but I’ve also had clients working at firms and government jobs who were able to create a lot more flexibility in their schedules than they originally thought possible. Very often, it is our beliefs and judgments about ourselves that pose the largest obstacle, much more so that the structures and circumstances of our work and personal lives. Where are you struggling against your nature? Where are you swimming upstream?